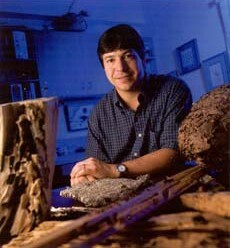 Dr. Richard Cooper serves as the Technical Director for Cooper Pest Solutions, and holds an appointment as a Visiting Scientist in the Urban Entomology lab at Rutgers University. Richard provides the science behind the special sauce at Cooper. Receiving his Bachelor of Science Degree in Entomology from the University of Delaware in 1986, and a Master’s Degree in Entomology from Rutgers University in 1991, he returned to Rutgers nearly twenty years later to study bed bugs, receiving his PhD in Entomology in 2015. Richard brings a combination of science and common sense to the Cooper organization. Overseeing the training of the staff, Richard is able to combine his scientific approach with unique approaches to controlling pests. His methods have formed the foundation for methodologies used throughout the pest management industry. During his time in Delaware, he enhanced his knowledge of insects while working as a Field and Lab Technician for the USDA Beneficial Insect Laboratories, and later worked with E. I. DuPont’s Stine Haskell Research Center. In addition to his responsibilities at Cooper Pest Solutions and Bedbug Central, Richard plays a very active role in the Urban Entomology Lab at Rutgers University, where he is involved in research on a variety of pests including bed bugs, cockroaches, rodents and other pests of urban importance. He is a member of the United States Department of Agriculture (USDA) Brown Marmorated Stink Bug working group, to help further science related to combating this serious pest. He is also very active in ongoing field research, with numerous manufacturers assisting in the field component of product development, as well as the evaluation of product efficacy. 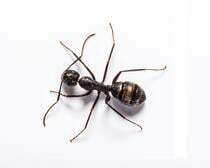 Richard also consults with other pest control companies on a variety of pest issues in both commercial and residential settings. Richard is the author of numerous articles in industry trade journals, has published over 20 scientific publications in peer-reviewed journals, six book chapters, a comprehensive book on bed bugs and their control, and is frequently invited to speak at scientific and pest management industry meetings. In 2001 he received PCT Magazine’s distinguished leadership award, and in 2003 he was recognized as one of the top 40 professionals in the pest control industry under the age of 40 years old. Richard has consulted as an expert witness in over 25 lawsuits and insurance claims dealing with bed bugs, and has been cited as an expert by the NY Times, the Wall Street Journal, the Washington Post, USA Today, The Discovery Channel, CBS’s The Early Show, NBC’s Today Show, The Dr. Oz Show and National Public Radio (NPR), among others. In 2009 Richard was appointed to serve on the NYC Bed Bug Advisory Board by New York City’s Mayor Bloomberg. Richard also served on the New Jersey IPM Task Force, which developed IPM standards for the State of New Jersey. He participates in a number of organizations including the Entomological Society of America, Pi Chi Omega, the New Jersey Environmental Federation, and has served on several National Pest Management Association technical committees.